Setting our GPS: Get Growing! 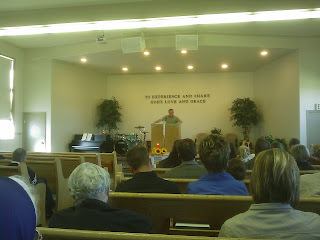 Jody: I will rejoice I will declare God is my Victory and He is here. Eph 2:10 we are God's Masterpiece. Do you feel that way 1st thing in the morning? Joined YMCA to get in shape. After 4 laps around the pool he was totally wiped. Imagine God having a conversation with you trying to get you in shape and chisel away the dross. Do you want to give God the freedom to change you? We all desire to be good. More like God. We don't want the pain of God changing us. A young man Jesus met walked away sad because he did not want to change. We think 1 hour in church is what we need to do to be good. Often we forget that we need community. Does God's word change us inside? Do we think we can change on our own? No. Spiritual growth at its best is done in community. Listen now. In Community we read God's Word. To find what I need to do. No - read the Bible to find out who God is. Not what I need to do. Read the Bible. 30 day reading plan. 365 days? Do you want to know who God is? The Cross. Baptism. There are few non negotiables. Baptism is one of them. You need to become part of the community. Intro to EastView course is coming up. 3. Regular church Attendance. Very important. Faithfulness. For 2,000 years Christians have gathered together. Faithfully with the same group of Christians. I love my church. Who remembers me? I want to commit myself to get together. Rocks (sin) can hurt. Confession and repentance are needed so the rocks can he removed. Confess and pray to be healed. The Koran burner is a nightmare for Christians. We are connected to diversity. 10 years ago we had 1.3 million enthno cultural Canadians. By 2031 14 million or 36% will be ethno cultural. StatsCan. Immigrants will live in the 3 big cities. What does it mean to be Canadian? In 20 years the non-Christian population will double. Lorna recently did a program at Ground Zero. There is a huge backlash against the Muslims. Most Imams are moderate and want to educate people to love one another. Lorna went to Winkler Bible School and met a wonderful farmer. Wanted to be a good farm wife. Vern told her to start writing. When Jesus' disciples asked: Who sinned - where is the blame for the man born blind? Jesus told them that they were asking the wrong question. Ask what can God do in this situation? Standing on the edge and yelling for change, does not change anything. Get involved with diversity. We need to be on our knees asking what can God do? It's not the same Canada as a generation ago when 95% checked off "Christian". That is rapidly going down. What can God do with this? Providence College has and is making a difference in this world. Who were the early song leaders? We are now in 11th Message in the series. Luke 4 The inauguration of his public Ministry. To be religious like the teachers but he kept coming to the synagogue. Jesus was not a Christian. He was a Jew. He was not concerned about religion. People's opinions change fast. Justin Beeber is on top of the world. Michael Jackson was there once. Fan clubs turn on their idols. They ended up crucifying him. He stirred up controversy and pointed out that God shows favour to Gentiles. Why did he say things that would get them mad? 3. Jesus came to initiate a movement of faithfulness. Forsake all and follow. Expect persecution. But be not offensive. Love your enemies. 5. What did he come to do? Preach liberty. To fulfill Scripture. Preach good news. Not religion. Why? What would you say if someone asked you what Jesus came for? What's the good news? Who are the poor? He had a broader definition than praying the sinner's prayer. The gospel is for the poor. Woe to the rich. Awareness of need is the critical element. Aware of insufficiency -the poor in spirit- those for whom the gospel is good news. If the good news does not sound good to you, you are poor. Many people know what Christian generosity is. Giving our goods away is not good news for our society. Are we ready to face the challenge? We pray that God's will be done in our lives. Ananias & Sapphira sold their property for $200,000 but told Peter they only got $100,000. He died and was buried. Sapphira showed up said the same thing and she died. That should have scared away a lot of people. But it did not. Lots of people became Christians. The Lord added. 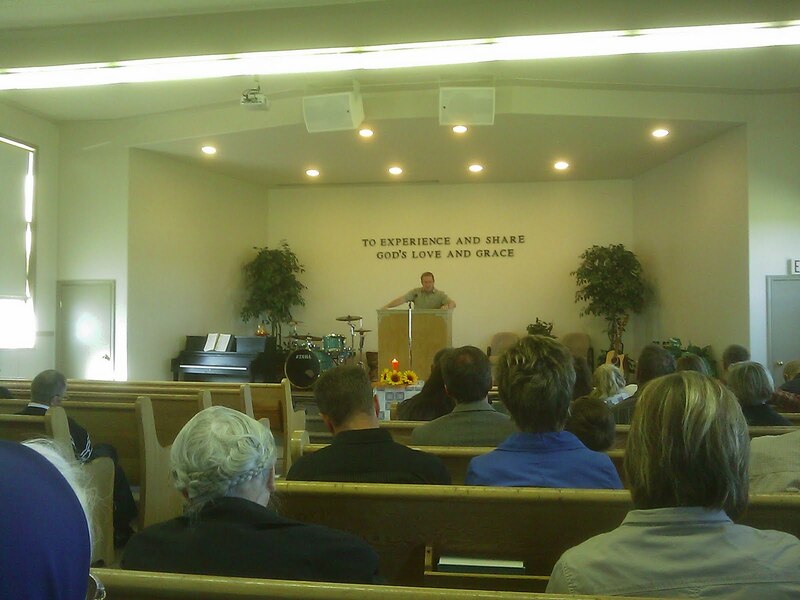 Pastor dreamed that lots of people came to church to hear him. He said: who am I? And the Holy Spirit said, it's not about you, it's about Jesus. We are no-names but the secret is in the presence and power of the HS. The spirit quickens. Acts 2 they were all of one accord in one place. Not off to Florida. God gave his blessings. they had waited. When the blessing came it was a MIGHTY wind. Suddenly. Bid they control the wind? The fire? No one was left out. Even Mary the mother of Jesus had a tongue of fire on her head. Each of them were filled with the Spirit. Overflowing. Almost bursting! All filled. Received this treasure in earthen vessels. All the People were amazed. Peter was quick explain what this was all about. All were filled. No yawning. Oh, God do it. This is the secret of growth. Father, thank you for your Word today. Fill me with your Spirit. In your Name, the one that is above every name. Hallelujah! Communion - this is the new Covenant. Do this in remembrance of what Jesus did. We are in Dryden. Does anyone know a good church 12 hours east of Dryden? We are on our way to Toronto with Alayna's household goods. When you watch the news tonight check to see if the Premier is holding the New Testament I gave him.